Hi ! I am Noriko. I traveled around 30 different countries as a backpacker at my younger age, and I really loved meeting local people and experiencing different cultures. While traveling around the world, I was exposed to diverse culture, and then I started recognizing the uniqueness of Japanese culture. That is when I started learning Japanese culture deeply. From my experience, meeting people and experiencing different culture is so much fun, and I really want to help you get to know our interesting culture!! Please come visit my house and let’s have a fun day together! I sincerely hope you will create wonderful memories of your stay in Japan. Our visit to Noriko’s home was the highlight of our holiday. She showed us authentic Japanese culture - as practiced by real Japanese folks. Noriko is talented, smart and graceful. We had great conversations and felt very welcome at her beautiful home. As promised, she demonstrated the tea ceremony elegantly, played Kodo beautifully, made delicious Okonomiyaki for lunch, and helped us into exquisite Japanese traditional costumes. But it was the way she did those things that made them so special. At first, we were unsure if our son would enjoy a cultural experience. Like most 5-year old boys, his interests are robots and computer games. But Noriko was great with children - she made learning Japanese culture a lot of fun. My son couldn’t stop laughing at his own tea ceremony performance (which wasn’t too bad considering he’s only 5). He even requested to try playing host and made Matcha tea for us. Noriko was only too happy to oblige. Whilst we were having tea, Noriko played the Kodo. What an amazing instrument… the sound is so rich. She then taught us how to play (by numbers). I was surprised that I can play a whole song in just a few minutes! At lunchtime, our little boy helped Noriko made Okonomiyaki (Hiroshima style) – which was very tasty. Noriko has a collection of very exquisite (and very expensive) kimonos. My wife chose the classic looking one, and in about 20 minutes (of hard work), she came out looking like a Japanese doll. I chose a handsome Yukata and a replica sword. A few minutes later, I looked like a respectable Samurai (in my own mind, at least). My son got into a Ninja costume, and the three of us had a great time striking some poses around Noriko’s house. My son and I even strolled around the neighbourhood (in our Samurai and Ninja costumes) whilst waiting for my wife to put on her kimono. We had a great time. Noriko treated us with much kindness – it felt like we were visiting an old friend. Needless to say, we parted as good friends and promised to keep in touch. Arigato gozaimasu Noriko-san! I have been in Japan for one year but its first time to make this wonderful and fantastic experience with ms. Noriko . her English language is more than perfect , her explanation about Japanese traditional tea ceremony , how to buy and use its tools , how to choose suitable Japanese desserts , really her explanation was very simply and easy to understand . about Japan cultural and enjoy wonderful time with very delicious food and tea . Noriko met us at the train-station with a big smile and escorted us to her home. Being at home with a Japanese family is an interesting experience with an added value to visit to a beautiful Japan. Noriko is a wonderful person. She is a knowledgeable about the history of Japan, very caring, happy person and will make you feel comfortable in her home. If we visit Tokyo again, we would definitely be glad to see Noriko again. She is so friendly person. I highly recommend you to visit Noriko at her home. My husband and I spent an enjoyable day with Noriko, whom we can best describe as a bubbly ambassador for traditional Japanese culture. Her enthusiasm for her subject is matched by her practicality. We found everything we were seeking in her 5 hour presentation. The day began with a five-minute walk from a metro station to Noriko's typical modern-day Tokyo home. She performed the Tea Ceremony and after she walked us through how to make the tea as it was our turn. It was fun trying to get the tea to froth. 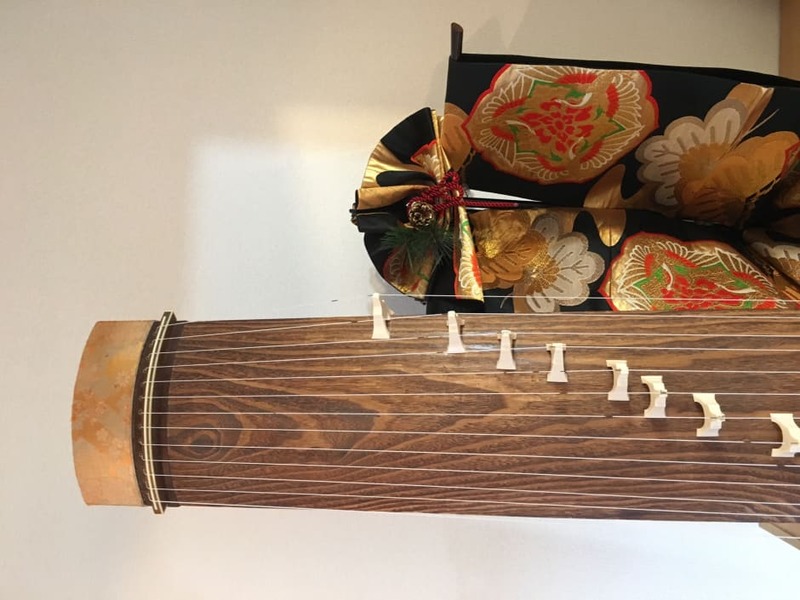 While we we sipping the tea we had made, Noriko performed centuries-old music on her koto, a 2m long, 13-stringed Japanese harp. She then asked me if I wanted to play a simple piece using a clever numbering system that helped turn me into a koto master. With lunch approaching, we moved back to her kitchen and prepared our midday meal, a favorite in Hiroshima, close to where she grew up. The recipe is straight-forward. She provides all of the ingredients and all you need is an appetite. The highlight of our day was dressing up in a kimono. Noriko shared the history of the garment as she applied make-up and layers of silk and satin. Finally, I was fully dresses in a kimono. I felt truly Japanese. I would recommend Noriko to anyone who wants a behind-the-scenes look at contemporary life in Tokyo or is curious about the history of the kimono.